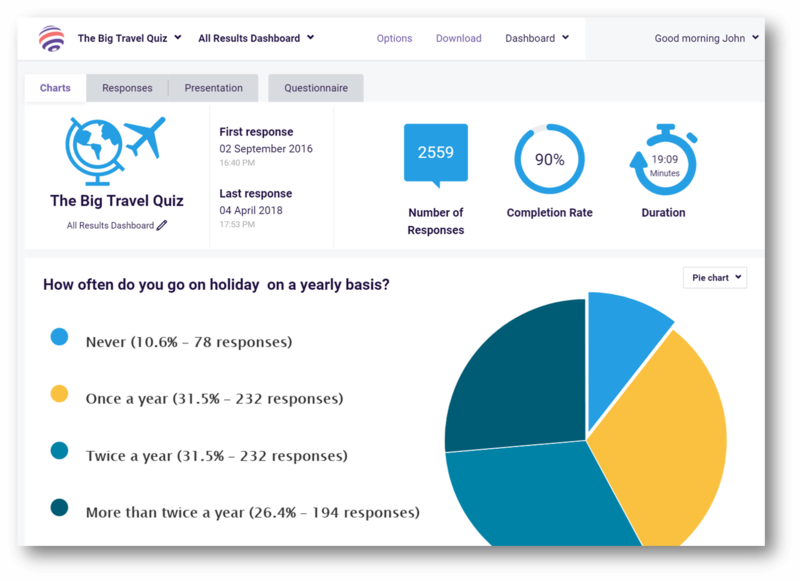 Start creating an engaging survey in minutes. Don’t waste 1 second of your time creating a boring survey. We’ve got bells and whistles others don’t. Captivate! Engage! Be belly and whistly! Time to expose your little work of art! We won’t hold you back! And your perfectly responsive design won’t either. It’s the Information Age! Wait until you see how easily and in how many forms we’ll serve up the data you’ve just gathered! Use some of the info you learned from previous surveys with the next round. Show them you’re ‘listening,’ by saying something like, “you told us our instructions were hard to read, so we’d like to know what you think about the new ones,” at the start of your survey. Your survey or quiz won’t just incorporate your logo, colors and other brand elements. With a few clicks, you can add images, video, animations—you name it! Because fun and engaging gets you better results! 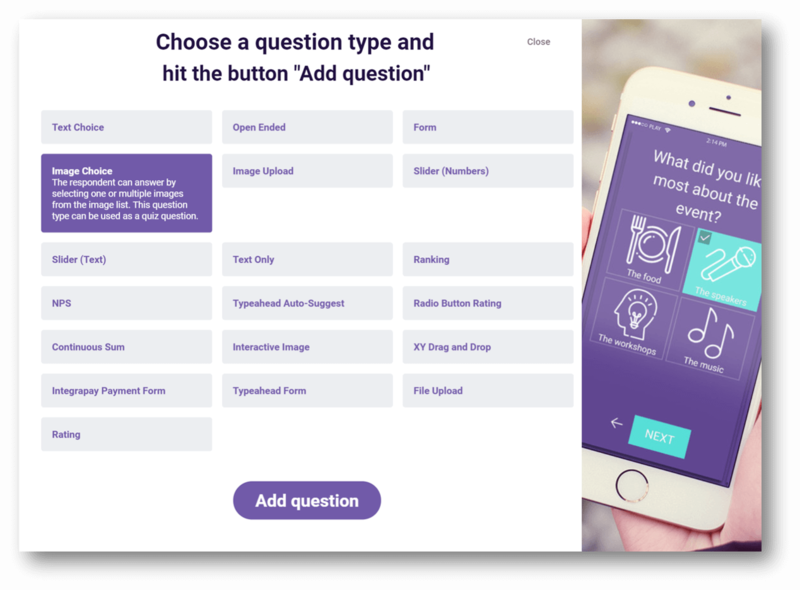 Our easy Builder walks you through each phase of creating your survey or quiz. Point, click, create! The quiz or survey you just created is chameleon-like: it adapts to every device and environment you put it in. iOS or Android, phone or tablet. Embed in your native app, on a tab on your Facebook page, in your web app. We’ve got tons of wisdom on our blog to give you insights and ideas on distributing your tool at events, through your brand’s printed materials, during presentations, etc. We make it easy to get in front of the people that used to be hard to get to! Research has shown the main reasons why people take surveys are: #1 fun and #2 to learn something. So, when distributing the survey, try to reflect on these aspects and avoid just asking people to ‘Take our survey’. The end of the survey should not be the end of the conversation. In the case of negative feedback, a respondent often expects to be contacted personally. And in the case of positive feedback, you can ask the respondent if you can use his/her feedback for marketing purposes. These days, if it’s not all about the data, it’s at least going to be affected by it! We make it easy to collect timely, relevant data, quickly and efficiently. And, we make it easy to access and analyze that data. With instant respondent uploads you can keep to yourself or share with a wider audience. Graphically or via text, by question or by respondent. Filterable, downloadable…ah, data!